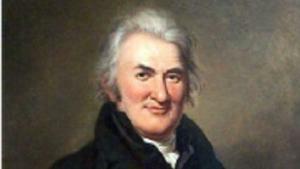 Allan McLane was born in Philadelphia in 1746 before moving to central Delaware. At the outbreak of the American Revolution, McLane joined the Delaware militia, using inheritance money to as payment and equipment for his men. During the Philadelphia campaign, McLane served under General George Washington, taking part in the Battle of Brandywine and the Battle of Germantown, where he served as the advanced guard. McLane&apos;s role during both the Whitemarsh and Valley Forge encampments was raiding and screening. His advanced intelligence helped the Americans thwart the British attack at Whitemarsh in early December, and his men were so good at harassing enemy convoys and foraging parties that they were given the nickname "market stoppers." McLane also led raiding parties of his own, gathering livestock from Delaware and Maryland to feed the thousands of man encamped at Valley Forge. His scouts also helped detect the British forces as they attempted a surprise attack on Barren Hill in May. Following a successful military career, McLane returned to mercantile work before being appointed a marshal of Delaware. He returned to military service during the War of 1812 when, at the age of 68, he commanded the defenses of Wilmington. McLane died in 1829 at the age of 83.